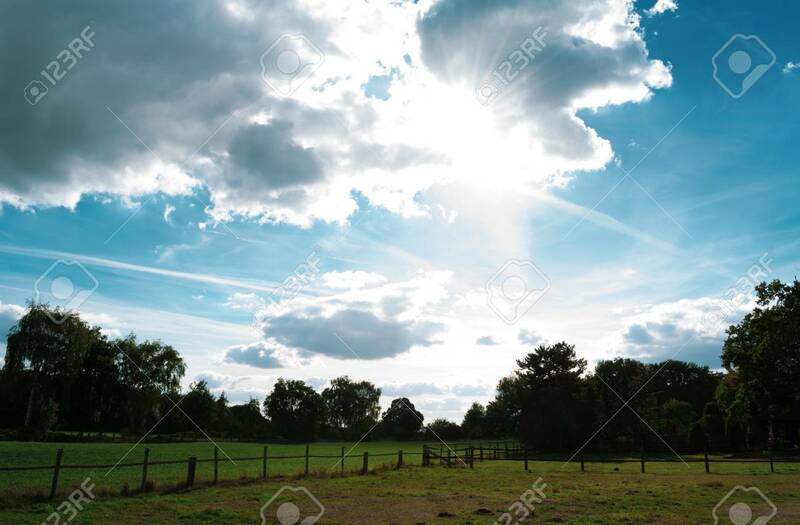 Beautiful Evening, Bright Shining, Cloudy Sky Over Fields And Meadows. Location: Germany, North Rhine - Westphalia, Borken Lizenzfreie Fotos, Bilder Und Stock Fotografie. Image 110710871.